The Spital Square Mosaic (Bethnal Green City Challenge, 1994) was a large scale public art work, which celebrated the history of Spitalfields. 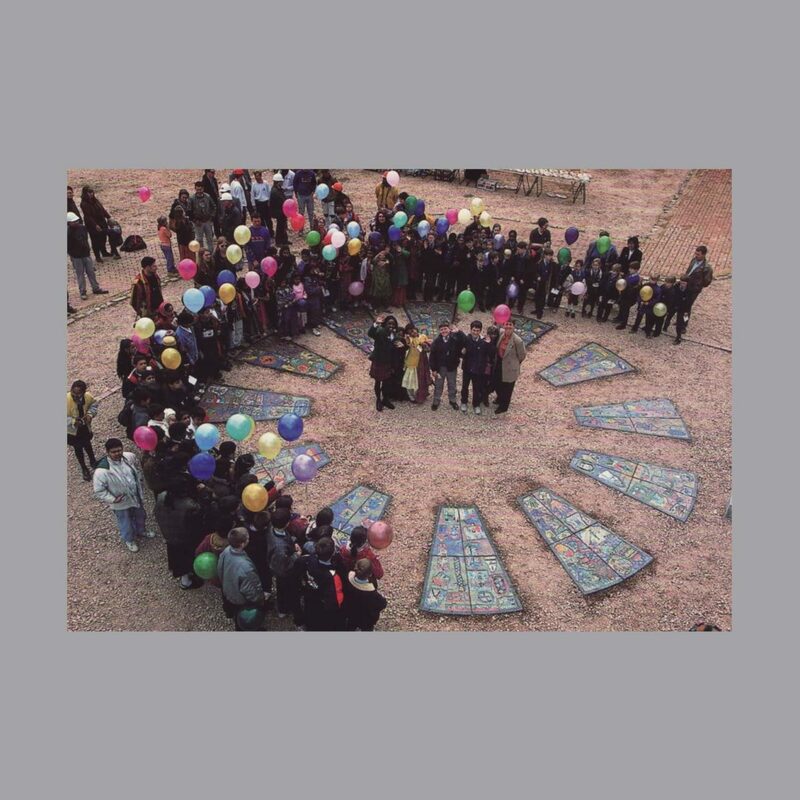 The mosaic was devised and produced over a six month period by Rachel Lichtenstein in collaboration with 120 East London primary school children from Catholic and Bengali schools. The entire project was filmed for BBC’s Blue Peter programme. The mosaic was originally installed in Spital Square, Spitalfields on the site of a Roman burial ground before archaeological excavations took place. 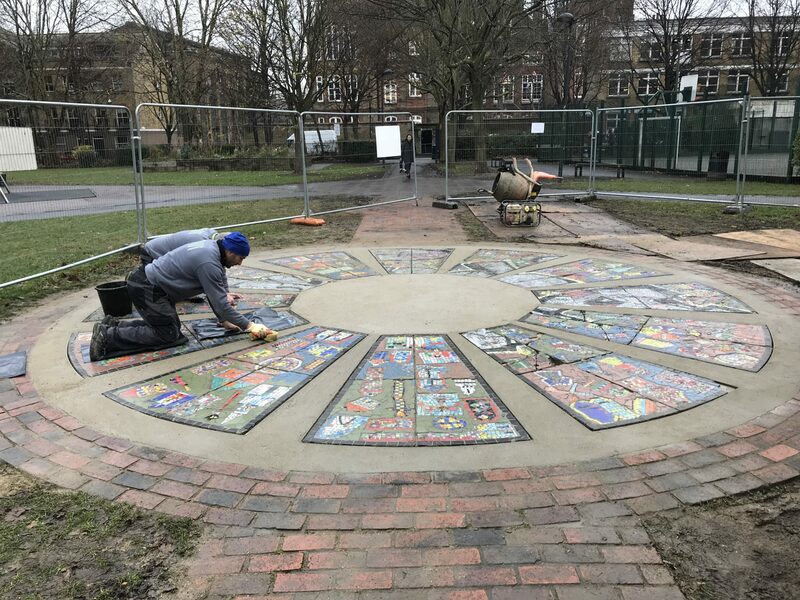 After the site was developed the mosaic was moved to Brick Lane, in 2018 the mosaic was moved again to a permanent new home, Ravenscroft Park near Columbia Road market.